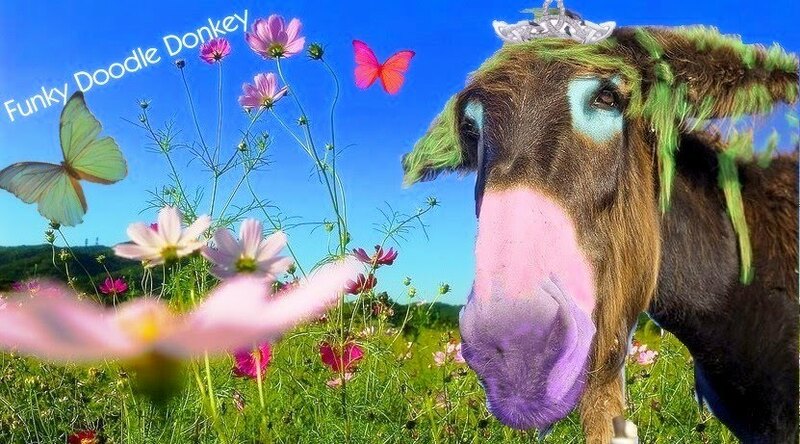 Funky Doodle Donkey: Happy 10th Bday sweet peas!! We planned to go to the movies after breakfast and opening all the gifts and then at midday all the girls would go home again, and we had time to celebrate Jasmine and Juliet's Bday with just the four of us. What a difference some make up does, here they look again like my 10 year olds.. not like the 15 year olds they looked yesterday!! Happy Bday sweet peas!! We love you very much!! Then later when everybody was gone they opened our gifts, they had to wait quite a while, but it was still the 27th! Here with daddy, eventhough boyfriends are starting to be interesting, he is still their favorite man in the whole wide world! It's all behind us, the girls truly enjoyed all the festivities at school and home, and since we only have 1 month left before school finishes the girls have this weekend and the coming weeks so many Bday and Goodbye parties planned it is not funny anymore!! Only this weekend they have already 3 planned, no wonder these girls know how to party, they get enough practice!! from L to R: Ijzac, Juliet, Aviv and Jasmine. Both their 'boyfriends' are moving away to either home country or another expat location. So saying goodbye is another thing they will be good at after a few years being an expat kid, because this happens all the time as well!